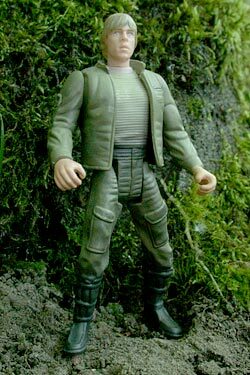 This custom is a Luke Dagobah with his jacket. I started with a Dagobah Luke and modified the leg stance. His arms are from a Bespin Luke. His open jacket is from Ponda Boba with the shoulder ribbing shaved off. Then the arms and jacket were repainted to match the colors of the original Luke Dagobah figure.